Every event, no matter how large or small, requires a comprehensive operations plan which details and coordinates various elements of the event including staff, schedule, space requirements, venue design, and crowd management. Many events require additional overlay planning to support the venue or event space. This may include, but is not limited to, items such as structural or cosmetic upgrades, additional power needs, fencing or other barriers, tents or other temporary facilities, signage, and lighting. The LTA team includes overlay design and operations planning specialists with the capabilities and experience to support multi-venue entertainment or sporting events, as well as conventional corporate events. This includes the creation of computer assisted designs, maps, and renderings which provide an accurate roadmap for the event. Additionally, LTA security professionals can complete a strategic security review of the venue or event site and prepare a thorough crowd management plan, implementing measures on-site to ensure smooth movement of the audience from one area to the next with suitable safety controls in place. Our team has extensive security experience working in both brick and mortar venues and temporary outdoor sites. 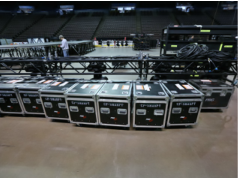 ﻿﻿Whether transporting talent and personnel, moving equipment, clearing customs, or preparing for load-in and load-out, the logistics required to produce an event are not to be underestimated. Knowing how to effectively manage, ship, and deliver materials, while optimizing both delivery timing and costs, comes from years of experience. 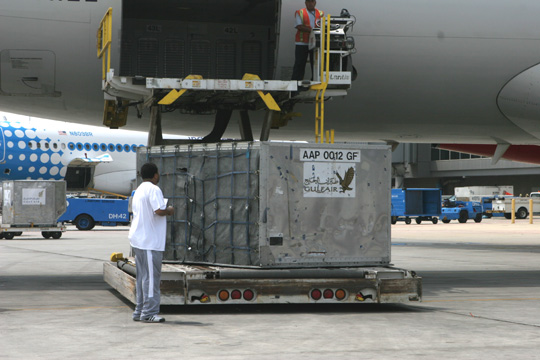 LTA has the knowledge and industry contacts to overcome logistical challenges in order to make sure that the right gear and people are in the right place at the right time﻿﻿. Every event, no matter how large or small, needs to be planned and managed appropriately. The LTA production team offers clients the full spectrum of production management services, eliminating the stress that comes with managing a large event. Additionally, we have existing relationships with trusted equipment suppliers and have experience using their products in both domestic and international locations. From video, lighting and audio, to rigging and staging, we ensure that your event goes off with seamless execution. 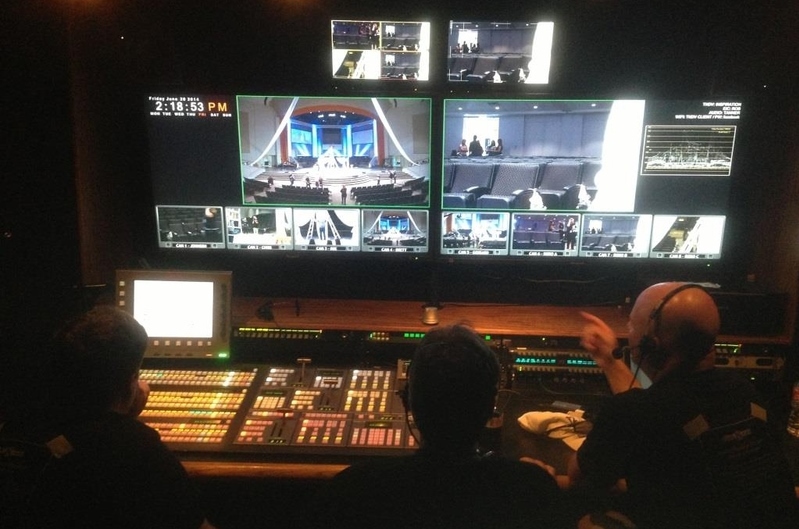 Staging and executing a world-class live event is a difficult task. Producing that event for television presents even greater challenges. From lighting and set requirements for television, to directing the broadcast, to completing the post-production editing, LTA's award-winning in-house production team brings your vision to life. Throughout the process, LTA's distribution division can help you design and implement customized plans to maximize revenues, audience, and impact. Our team has extensive experience in all types of events and productions, and can provide a detailed plan for your venue, building, or public space. We can advise you on the appropriate structure for your event, provide a unique design to your specifications, and manage the construction of a fully-functional temporary venue to meet the needs of the most demanding projects. LTA designed and constructed a 14,000 seat outdoor venue on a golf driving range to present Ricky Martin. LTA designed and constructed an 800 seat ice skating venue in open convention space to present Broadway on Ice starring Brian Boitano and Franc D'Ambrosio.